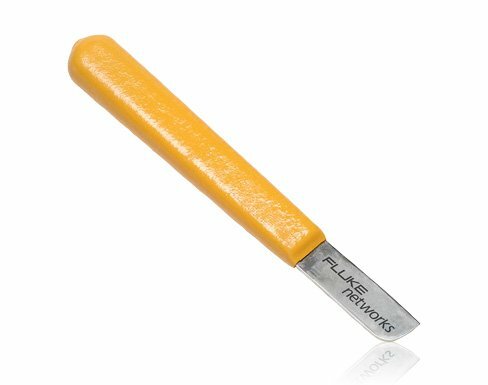 Fluke Networks’ versatile cable splicing knife has a 1.75 inch/4.4 cm long cutlery-grade steel blade that stays sharp use after use. For added safety cable splicer knife features a non-slip, easy to grip handle for better control and reduced hand fatigue. A basic cable splicer knife that belongs in every technician’s tool kit.